Jason Lefton&apos;s laser is meant for making signs and trophies. 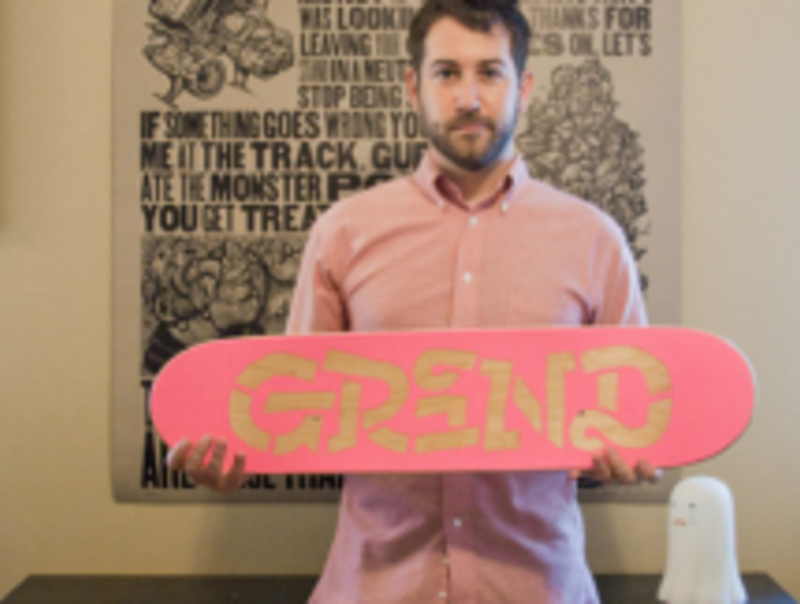 While he does make some signs, definitely not trophies, Lefton, working as BIG SECRET, is more interested in creating unique pieces of art and collaborating with artists he admires; which is great for Richmond because his laser work is popping up in local businesses all over town. Lefton, who is just settling into new offices at 120 West Marshall St. in historic Jackson Ward, was a web designer in 2010 when he originally sought out a laser to engrave a Jon Burgerman illustration on his Macbook. As soon as he saw the laser work, he knew he had to have one. Fast forward a few years and Lefton is lasering full-time. You can see Lefton&apos;s work all over Richmond. He&apos;s got pieces in Shockoe Denim, Hardywood Park Craft Brewery, Ledbury and the Valentine. BIG SECRET actually laser engraved growlers with the Valentine Meat Juice logo. If you read our post about the Valentine Grand Re-opening, you know we love Meat Juice, so these are pretty much the best growlers ever. They&apos;ll be available for purchase at the Valentine gift shop after the Grand Re-opening. If you want to take home a laser etched piece of your own, Lefton has a few collaboration items for sale on the web. They&apos;ve also got a special, unique gift for the holiday season with their Laserflake. You can type anything you want - your name, your dog&apos;s name, your favorite local beer&apos;s name - and a super special algorithm will spit out a snowflake made just for your word, or your dog&apos;s name. We got to see this process in action it was pretty awesome and we&apos;re already planning on getting these as holiday gifts.